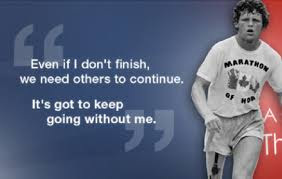 For more information see the Terry Fox Foundation web page. Come at 2PM to see the whole school run and feel the energy. Sponsor a child before or after the event using the JQ link above. 2014 – raised $3,500, surpassing our goal of $2,500 by $1,000. Let’s Double our efforts this year with a fundraising goal of: $2500!